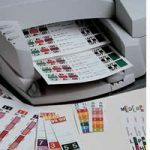 TheFilingStore.com is a division of American Filing Solutions. We specialized in Folders, Classification Folders, End Tab Folders, Expansion Folders, Manila Folders, Pocket Folders, Pocket Folders with Fasteners, File Pockets, Top Tab Folders, Drop Front Folders, Colored Folders, Reinforced Folders, Case Binders, Dividers, Chart Dividers, Chart Dividers Sheets, Add-A-Divider, FileBack Dividers, Stock FileBack Dividers, Custom Chart Dividers, Fasteners, Fileback Fasteners, Self-Stick Fasteners, Space Clip Fasteners, Out Guides, etc. We also specialized in High-Density Mobile Compact Custom Filing Systems, Modular Shelving Storage Cabinets, Custom Modular Mail Sorting Furniture Stations – Mail Center Sorter Systems & Equipment Solutions… providing Post Office Supplies-Office Products-Accessories for: ColorBar, Strip Labels, Business Forms, Tabs, Documents, Desktop Organizers, Fastener Folders, Classification Folders, Jackets, Sleeves, Pockets, Guides, Out Guides, X-Ray Guides, X-Ray Jackets, Name Labels, Numeric Labels, Month & Year Labels, Color-Coded Sticky Tab Labels, Index Tabs, End Tab Converters, Label Protectors, Fasteners, Dividers, File Backs, Vinyl Pockets, Check & Household Files, Partition & Expanding Wallets, Artist Portfolios, Desk Files, Binder Covers, Brief & Report Covers, Pocket Portfolios, Pad Folios, Artist Portfolio, Prelabeled Folders & much more. 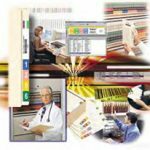 We offer Records Management Software, Records Management Hardware, Filing Equipment, Multimedia & Supplies, Color-coded File Systems, File Conversions, Alphabetic – Numeric Filing Systems, Combination Filing Systems, Birth Date Filing Systems, Office Panel and Divider Systems, Lateral & Vertical Filing Systems, Storage & Wardrobe Cabinets, Mailroom Systems & Bookcases, Fireproof File Cabinets, Cantilever Library Shelving, Logic Shelving, ESP Package Shelving, Q Line Shelving, Bulk Storage Shelving, Steel Lockers, Work Benches and more. Filing Systems including add-a-stack shelving & add-a-track lateral track systems, Imperial & Regal Shelving, L&T Open Shelf Filing, Library Book Stacks, Heavy Duty Industrial Storage, Industrial Shelving, X-ray Filing, or various EDP Media Storage, Lateral & Shelf Files, Steel Storage & Wardrobe Cabinets, Steel Bookcases, card storage units, literature sorters and thirty drawer organizers, Fixed Shelf Files, Stur-D-Stor industrial strength storage shelving, Automotive Shelving, Estey Library Shelving,Â Estey Designer Series Library Shelving, Stak-N-Lok, ThinStak, 4-Post, Vu-Stak, MobileTrak5, TrakSlider, Tambour, LAN & Security Systems, Ez2 Rotary Files, Rotary Action Files, Mobile File Carts, Satellite Cluster Workstations and much more. We are a full line sales and service company. For all your office filing needs! If you don’t have it we’ll find it for you! Please visit our sister website, www.FilingToday.com. We value our customers.